Widely regarded as one of the most exciting jazz vocalists alive today, Claire Martin has been sharing her musical virtuosity and swashbuckling stage presence for over 30 years. To worldwide critical acclaim she has established herself as a tour de force on the UK jazz scene gaining many awards, that includes winning the British Jazz Awards eight times along the way. Come experience the First Lady of British Jazz, and celebrate Queen’s 20th Principal & Vice-Chancellor of Queen’s University Daniel Woolf. Fun, merriment, and top-drawer artistry guaranteed. Singer Claire Martin and Martin Sjöstedt weave their magic in an intimate duo setting featuring classic songs from the Great American Songbook penned by Gershwin, Porter, and Arlen combined with more contemporary favourites by Joni Mitchell, Micheal Franks, and Pat Metheny. Expect to hear songs from their new CD Believin’ It and stylish reworkings of classic jazz standards. 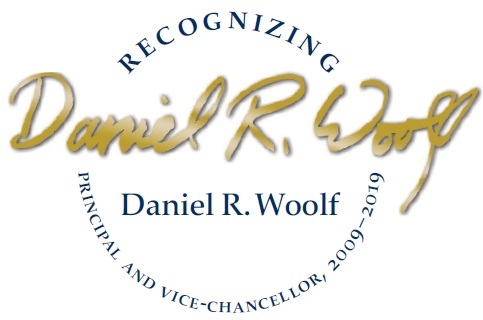 the 20th Principal & Vice-Chancellor of Queen’s University Daniel Woolf. Please note that Queen's University and the Isabel promotes a scent-free environment. Ticket prices are inclusive of ticketing fee and HST.